Munich, Germany - March 26, 2018 - Siemens and Atos today announce the reinforcement of their strategic co-operation, with plans to accelerate their joint business until 2020 through an ambitious joint go-to-market plan and the strengthening of their joint innovation and investment program. The program has been increased by EUR100 million, totaling EUR330 million - more than three times the original sum. This will further support the Siemens and Atos IoT MindSphere-Codex strategic co-operation as well as the joint go-to-market. 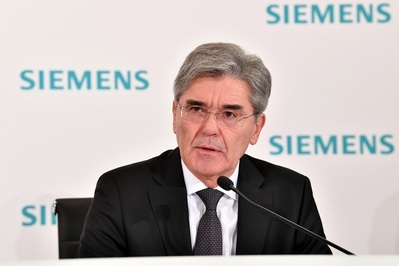 Joe Kaeser, President and Chief Executive Officer Siemens AG. 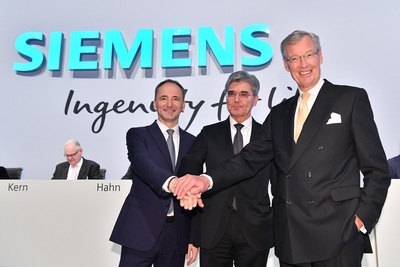 Siemens and Atos today announce the reinforcement of their strategic co-operation, with plans to accelerate their joint business until 2020 through an ambitious joint go-to-market plan and the strengthening of their joint innovation and investment program. Annual Shareholders' Meeting 2018 of Siemens AG in Munich, Germany. Siemens President and CEO Joe Kaeser with Gerhard Cromme, Chairman of the Supervisory Board of Siemens AG, and Jim Hagemann Snabe, designated Chairman of the panel. The program has been increased by €100 million, totaling €330 million – more than three times the original sum. This will further support the Siemens and Atos IoT MindSphere-Codex strategic co-operation as well as the joint go-to-market. Siemens and partners sign joint charter on cybersecurity. 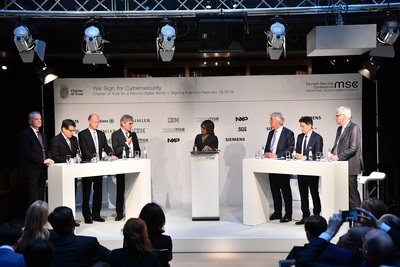 At the Munich Security Conference, Siemens and eight partners from industry will sign the first joint charter for greater cybersecurity. Photo from left to right: Christof Mascher, Member of the Board of Management of Allianz SE, Operations (COO); Manfred Bischoff, Chairman of the Supervisory Board Daimler AG; Tom Enders, CEO and Executive Director of Airbus SE; Joe Kaeser, President and CEO Siemens AG; Jacqueline Simmons, Moderator Bloomberg; Rudy Stroh, Executive Vice President NXP Semiconductors; Frankie Ng, Chief Executive Officer SGS and Thomas Kremer, Management Board Member Deutsche Telekom. 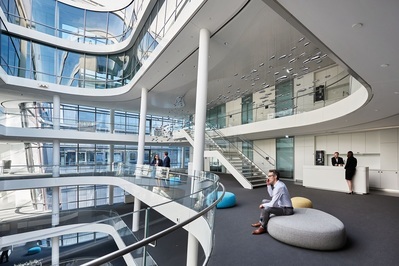 The joint innovation and investment program aims to enhance Siemens and Atos' digital strategy and develop joint capabilities in Data Analytics, Artificial Intelligence, advanced IoT & connectivity services, cyber security and digital service technologies to support the digital transformation of their customers through an end-to-end IoT suite. Since the start of the partnership in 2011 Siemens and Atos have achieved a joint order intake of €2.5 billion and significantly surpassed all expectations. 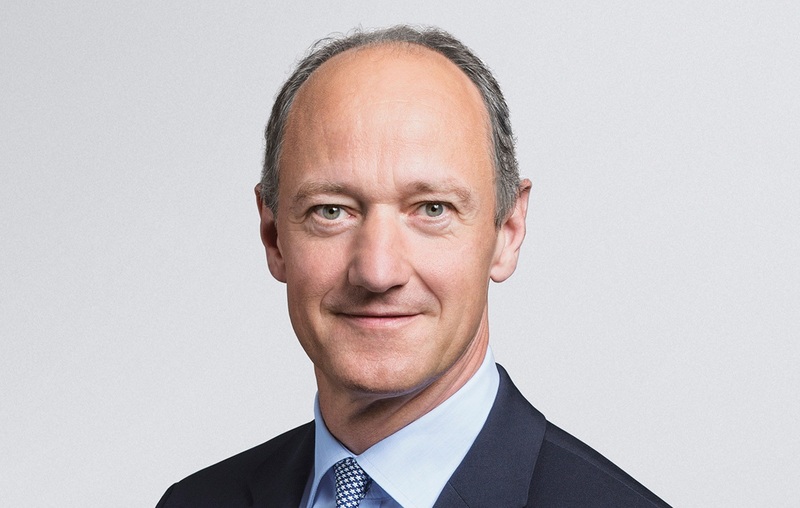 Roland Busch, Member of the Managing Board of Siemens AG, Chief Technology Officer, Corporate Technology, Corporate Development, Building Technologies, Mobility and member of the Board of Atos SE. "The Alliance continued to deliver strong business results while addressing important digital and innovative technologies," said Roland Busch, Chief Technology Officer and member of the Managing Board of Siemens AG and member of the Board of Atos SE. "We will further combine the strength of both companies and leverage the joint investment program to further expand our approaches in topics like Cybersecurity and Artificial Intelligence. It is also important for us to have Atos as a key ecosystem partner for MindSphere which comprehensively supports our ambitions." 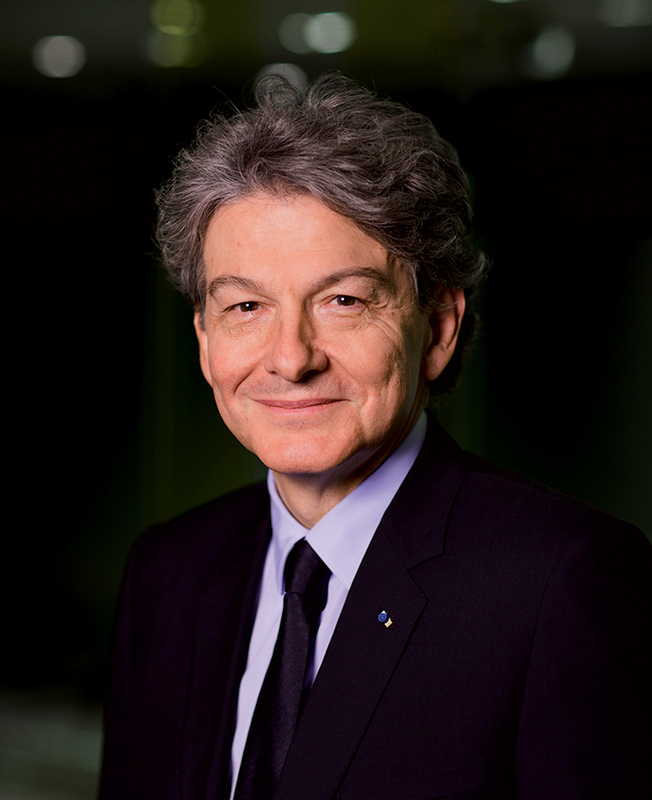 Thierry Breton, Chairman and CEO of Atos SE. "The strategic alliance between Atos and Siemens that we decided to create in 2011 is unique in our industry. Through our digital collaboration, we are combining our industry and technology knowledge to support together and end-to-end the digital transformation of our customers. With our combined MindSphere – Codex IoT suite, I am convinced that our customers will benefit even more from our strategic alliance," said Thierry Breton, Chairman and CEO of Atos SE. Atos and Siemens formed a global strategic partnership in summer 2011. 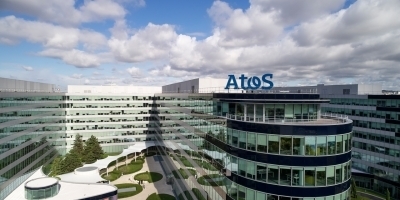 As part of this partnership, Siemens contributed its IT solutions and services business to Atos in exchange for around 12.5 million Atos shares. The deal created a new European IT champion for systems integration, application management, cloud computing, with IT solutions for industry software, mobility, building technologies, smart power grids and other IT services. Siemens AG (Berlin and Munich) is a global technology powerhouse that has stood for engineering excellence, innovation, quality, reliability and internationality for 170 years. One of the world’s largest producers of energy-efficient, resource-saving technologies, Siemens is a leading supplier of efficient power generation and power transmission solutions and a pioneer in infrastructure solutions as well as automation, drive and software solutions for industry. In fiscal 2017, which ended on September 30, 2017, Siemens generated revenue of €83.0 billion and net income of €6.2 billion. At the end of September 2017, the company had around 377,000 employees worldwide. Atos is a global leader in digital transformation with approximately 100,000 employees in 73 countries and annual revenue of around € 13 billion. Atos corporate headquarters, Bezons cedex, France.